When it comes to choosing a destination for your next getaway, several things must be considered. Pick a beach destination and you might be looking at overcrowded attractions at a hefty price. A city could mean huge hotel and transportation bills. 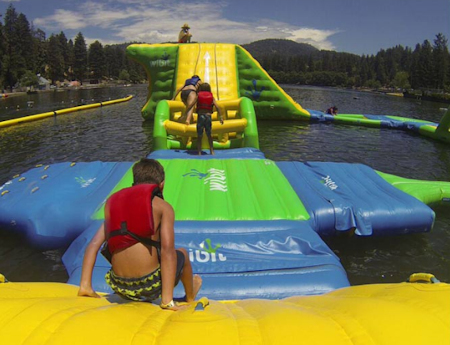 What if there was a place with plenty to do to keep your kids both entertained and unplugged? Perhaps a place tucked away from the crowds where you can reconnect with yourself, with nature or with your family. What if this place was located right in Western Kentucky? If what you are looking for is quiet and calm mixed with a lovely array of activities sure to delight your entire family or put you back at one with the world around you, look no further than Cadiz, Kentucky. Family vacations are all about reconnecting with each other and spending time outside of your routines and comfort zones. For that, and more, check yourself into a room or a lodge at Lake Barkley State Resort Park or Prizer Point Marina & Resort. Both sit on the shores of one of the largest manmade lakes in the nation, where you can play the day away fishing, boating, paddle boarding and swimming. For those who prefer to stay on land, Prizer Point features an indoor pool, playground and miniature golf course. Lake Barkley State Resort Park boasts nine miles of easy hiking trails, equestrian activities, indoor and outdoor pools, tennis courts and organized nature discovery activities. Hang your anchor at one of these lodges and campgrounds for a truly central vantage point for your vacation. From there, be sure to cast sail over to the famed Land Between the Lakes, a literal 170,000 acres of family-friendly activities guaranteed to keep your kids’ attention and put them back in touch with science and nature. Your first stop to really whet their appetite for Mother Nature should be the Elk and Bison Prairie, a 700-acre drive-through habitat that puts you up close and personal with two of the most majestic species of animals in the region in a habitat created to resemble the mixed grasslands and woods that once covered most of the region. Open 365 days a year, the 3.5 mile loop can be enjoyed in every season, with each bringing its own splendid glory to the landscape and the animals. When at the Prairie, you’re only a step away from Golden Pond Visitors Center, a great second stop where you can visit the only planetarium in Western Kentucky. Immerse yourselves in space in the 40-foot dome while volunteers lead digital projection shows and laser light shows set to modern music from Pink Floyd, Led Zeppelin and The Beatles. Do not leave Land Between the Lakes until you’ve taken in the experience that is the Homeplace 1850s, a literal pre-Civil-War-frontier period settlement where your kids can experience a settler’s life first-hand. Fully operational, your family can participate in the practical living of the 1800’s including planting crops, shearing sheep, molding clay and playing traditional field games with other kids. After you’ve bonded with nature, maybe what your family needs is some speed. Find it at Turkey Bay OHV area, where you can ride trails of all skill levels in Jeeps, dune buggies, dirt bikes, four-wheelers and side-by-sides. Want to throw in some arts and culture for the kids? Yeah, Cadiz has that too with a visit to the Janice Mason Art Museum (JMAM) at the Cadiz Community Arts Center, where you can catch nearly a dozen exhibits each year and at least one theatrical offering per year. Top that with classes and workshops in several disciplines and you’ve got a great place for your family to connect. 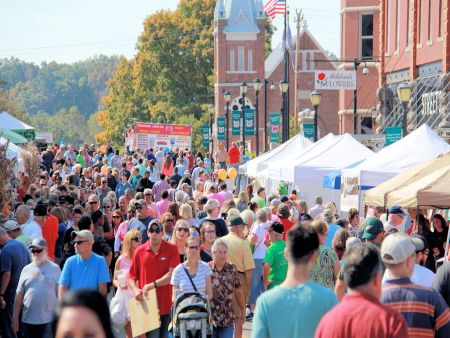 Cadiz and Trigg County is also home to the famous Ham Festival, held each October. The festival features vendors, attractions, games and of course, delicious ham. It's also home to the world's largest biscuit! Maybe what you need is a break from your family. If so, hey, no one will judge you. If alone time is what you crave, you’ll find exactly what you need to unwind in Cadiz. Shop the day away in the town’s antique shops and malls, boutiques and specialty shops. If you want to do some hiking of another sort, a great place to start is Hematite Lake, a 2.2 mile loop hike that allows you to experience the beauty of the Land Between the Lakes without the exhaustion of longer and more treacherous hikes. In Cadiz, you are literally sitting in the apex of fishing heaven, with local access to both Kentucky Lake and Lake Barkley, two of the country’s best lakes for crappie, bass and catfish. Lake Barkley was voted Best Fishing Spot in Kentucky by Kentucky Living Magazine and 12th in the 100 Best Bass Lakes in the Country by Bassmaster Magazine. How could it not be, with more than 57,900 acres, 1,000 miles of shoreline and a bounty of champion-sized fish to be had? Fishing with a guide or fishing for sport, you’ll surely find your next perfect fishing spot near Cadiz, Ky. For more information, you can visit GoCadiz.com. There are many things to do in and around Cadiz especially if you love the outdoors. Fishing, boating, and other recreational opportunities are waiting for you. 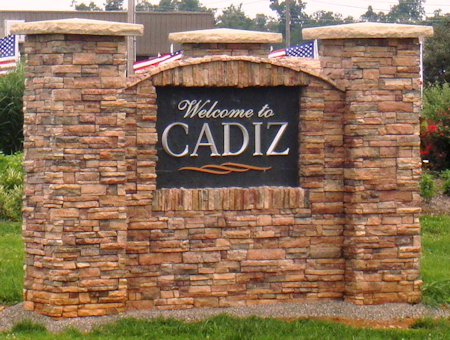 For those considering relocating to the Cadiz area, you can get a closer look at the community and also take a look at Cadiz, Kentucky real estate agencies. You can even view a list of churches in Cadiz area.